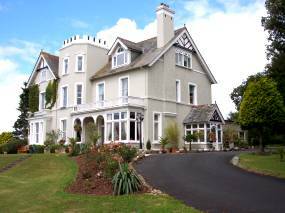 St Neot Bed and Breakfasts. Compare latest rates and Live availability for all your favourite places and places you have always wanted to go using our new My Shortlist feature. Click + to add to your Shortlist. Bed and Breakfasts in St Neot, Cornwall for 1 night from Sat Apr 20, 2019 to Sun Apr 21, 2019 within 10 miles, in an Average Nightly price range of £1 to £200. The Cormorant Hotel is perched on a hillside in the village of Golant, Cornwall. It has luxurious rooms with views over the River Fowey and an award-winning restaurant. The spacious rooms are decorated in fresh colours and have deluxe bed linen and thick duvets. Rooms feature flat-screen TVs, free WiFi and comfortable seating areas. The chic Cormorant Restaurant has a wood burning stove and offers fine British cuisine. There is a prize-winning wine list to accompany the menu. The Cormorant is just 2 miles from the South Coast. Free parking is available at the hotel.